Long gone are the days of a lackluster commute to your job near West Valley, Murray City, and Orem. Thanks to the stepped-up engines, one-touch technologies, and green mindsets of vehicles like the 2019 VW Jetta, the 2019 Honda Civic, and the 2019 Toyota Corolla, you’ll add a dose of thrill to every minute of your travels. Of course, it’s essential to determine which versatile sedan in this automotive trio is perfect for your busy schedule. That’s why we’re here with this 2019 Volkswagen Jetta vs. Honda Civic vs. Toyota Corolla vehicle comparison created by Volkswagen SouthTowne. Once you’ve had a chance to get more familiar with these highway companions, you’ll know exactly which one is ideal for your daily routine. At the beginning of a busy day, all you want to do is press the pedal to the metal and soar down your route to work. Luckily, the 2019 VW Jetta, the 2019 Honda Civic, and 2019 Toyota Corolla come with potent engines that provide you with a hefty dose of strength for any journey. 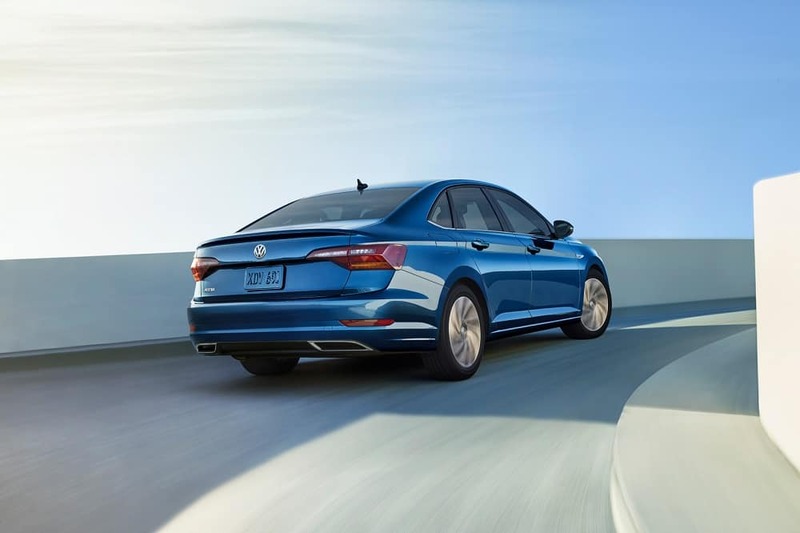 The 2019 Volkswagen Jetta features a standard 1.4-liter turbo engine that churns out 184 lb-ft of torque. The 2019 Honda Civic offers up a standard 2.0-liter motor, which creates 138 lb-ft of torque. The 2019 Toyota Corolla equips you with a standard 128 lb-ft of torque. Without the extra muscle of the Volkswagen Jetta, you may find a ride inside either the Honda Civic or the Toyota Corolla to be a little less exciting than you’d prefer. Connectivity is the key to an enjoyable commute. 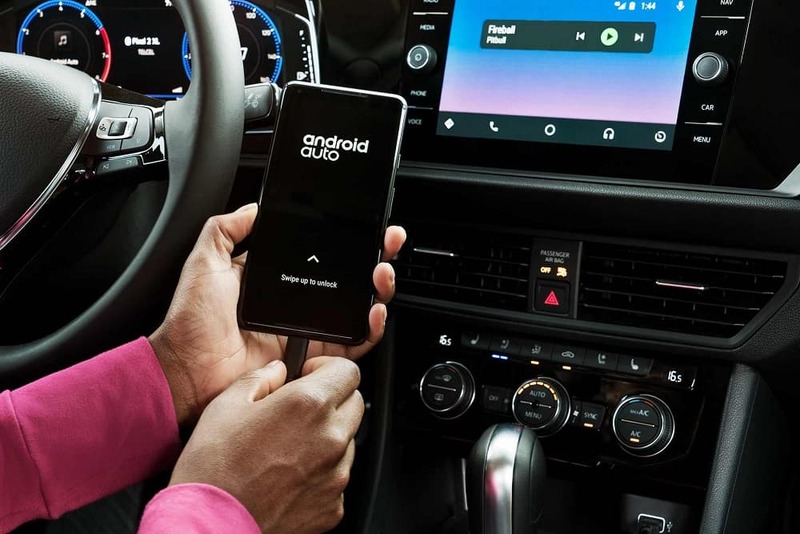 So, to up the ante on every moment you spend behind the wheel, make sure you’re armed with a car that’s adorned with your favorite technologies, like the 2019 VW Jetta, Honda Civic, or Toyota Corolla. However, when it comes to user-friendly infotainment systems and accessible displays, the Volkswagen Jetta crosses the technology finish line first. 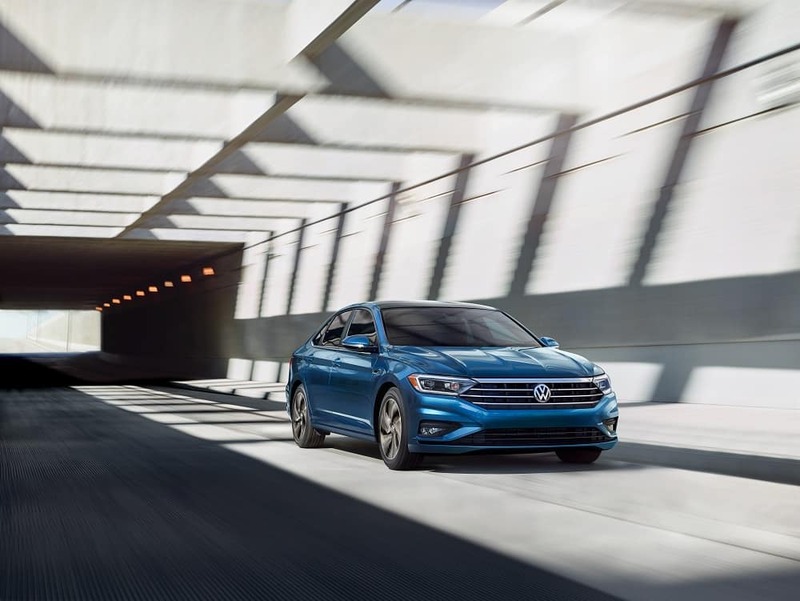 Inside the 2019 Volkswagen Jetta, you’ll find a standard Composition Color infotainment system that operates from a 6.5-inch touchscreen. Alternatively, the 2019 Honda Civic presents a standard 5-inch touchscreen, and the 2019 Toyota Corolla offers a standard 6.1-inch display. Only the VW Jetta provides standard Apple CarPlay™ and Android Auto™ functionalities, while those technologies are available in upper trims of the Honda Civic. In addition, the Toyota Corolla only presents Apple CarPlay™ as an optional feature without any choice of Android Auto™ compatibility. Looking for a vehicle that’s committed to efficiency? Well, the 2019 Volkswagen Jetta, 2019 Honda Civic, and 2019 Toyota Corolla all come with the ability to help you steer clear of filling up the gas tank too often. But the VW Jetta boosts your efficiency even further with an EPA-estimated 30 MPG city and an EPA-estimated 40 MPG highway1. On the other hand, the Honda Civic serves up an EPA-estimated 25 MPG city and an EPA-estimated 36 MPG highway, while the Toyota Corolla equips you with an EPA-estimated 28 MPG city and an EPA-estimated 36 MPG highway. Unfortunately, those numbers fall short of what the VW Jetta has to offer. At Volkswagen SouthTowne, we want to help drivers near West Valley, Murray City, and Orem make the most of the time you spend traversing the highway. And, now that you’ve had a chance to review this 2019 Volkswagen Jetta vs. Honda Civic vs. Toyota Corolla vehicle comparison, it’s obvious that your next road companion should be the VW Jetta. To get a closer look at all the fine appointments tucked within the classy cabin of this compact speedster, all you have to do is stop by our showroom or schedule your test drive today! 130 city/40 highway MPG (2019 VW Jetta 1.4L, 6-speed manual transmission). EPA estimates. Your mileage will vary and depends on several factors, including your driving habits and vehicle condition.